Jeanine Pirro of the Fox News came in the news early on Tuesday about being ticketed for driving 119 miles per hour. I was driving around 25 miles per hour, when the information about Pirro's speeding came on a radio wave. "119 miles per hour?" I asked and I thought it was unbelievable for anyone to drive with that speed to anywhere. News report later clarified that Pirro was on her way from a visit to an ailing mother, and that she was unaware she was traveling that fast - double the speed limit. Of course, the law in the United States recognizes no one and if you break the law, you get a summon to court. The police may have known her as a former county district attorney and currently a host on Fox News Channel, but the police business is to maintain law and order, and Pirro has said she will pay the consequence. After hearing the news about Pirro's over-speeding, I looked at the speedometer in my car and sure I was not over-speeding. I arrived at the train station, parked the car and walked into the station, to catch a train. There at the station, the television brought the news about the Tesla car and the future about a flying car. The news said that Tesla's CEO, Elon Musk, said that a special upgrade of the company's roadstar super car may be capable of flying briefly. Musk said something not quite positive about flying cars and you wonder why the hell anyone will want a flying car for that matter. 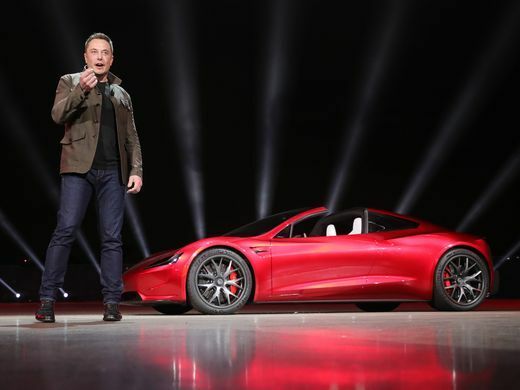 Tesla's car is already the fastest car on the road, but it will need an upgrade for it to fly.We wait and see and until then, it sounds like those stories from the Science Fiction class. The news report about Tesla and Musk and a flying car then reminds you about the Science Fiction class in college, and the story in one of the short stories used for the lesson in the class about a journey that leads nowhere. We hear about driverless cars coming. Is there anyone who is afraid of driverless cars? Apparently, the Pirro's story about driving at a high speed and that she was unaware she went double the speed limit, the story of Tesla's Musk talking about an upgrade that could make a car fly despite some negative side to it, reminds me of all those short stories that I read in the Science Fiction class, where you see robots in action, aided by human ingenuity in comparison to human's cognitive capability, and the argument that robots would one day take away out jobs and make human lives miserable. Why would anyone want to embrace the use of robots on a wide scale, when the consequence will not be positive to the society? The rich employers of labor may want to use the robots to save money. Yet, as employers they would be the first to talk about the negative aspect of having just robots around you in comparison to having humans in interaction as a living testimony and not the grave yard like robotic atmosphere. It is true that the rich can do anything to manage their wealth, just as they are doing now by conserving so much money for their unborn children, while millions of innocent people don't know where the next meal will come from. But they certainly need the human labor than they need the robots. Else, no one would have stopped them from bringing in the robots on a wider scale up to this moment.